Hooray for spring! It’s the time of year that birds start building nests, people start decorating eggs…. 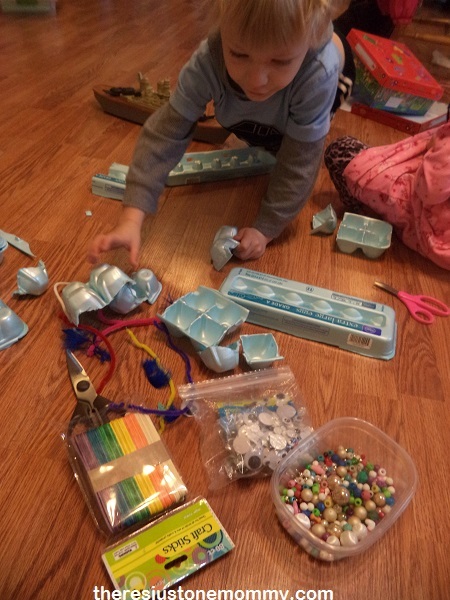 It’s an “egg”cellent time for some egg carton crafts! 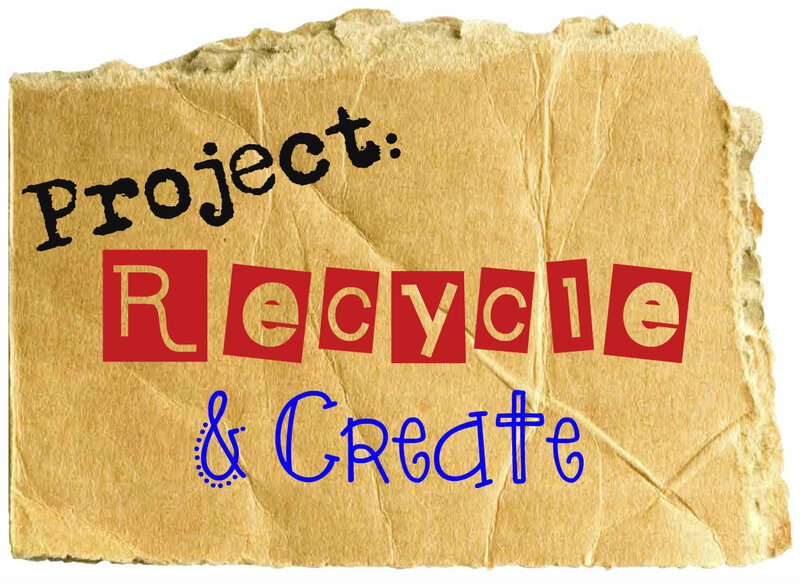 This month Project: Recycle & Create chose egg cartons as their craft material. I have to say I just fell in love with this idea! I decided to create an open-ended craft project for the kids, using egg cartons as the base of our craft. We had several egg cartons on hand, which I cut into different sections ahead of time. I also got out pipe cleaners, craft sticks, googly eyes, markers, beads, feathers, clear tape and plenty of hot glue to hold things together. Then I let them get creative! I told them they could use whatever items they like to create their own masterpiece. I loved seeing their minds at work as they chose items, carefully cut, figured out how they wanted it, and asked for help with the hot glue gun. 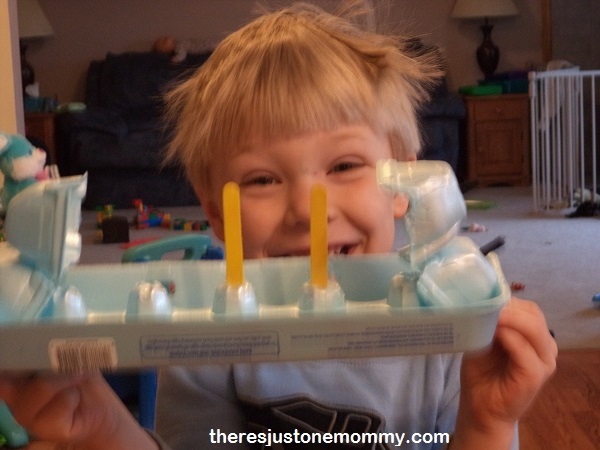 The preschooler created a battleship! The kindergartner decided she was making a dog. Want to know what else we’ve done with egg cartons in the past? We’ve made some super cute cotton ball chicks and done some fun egg carton math! 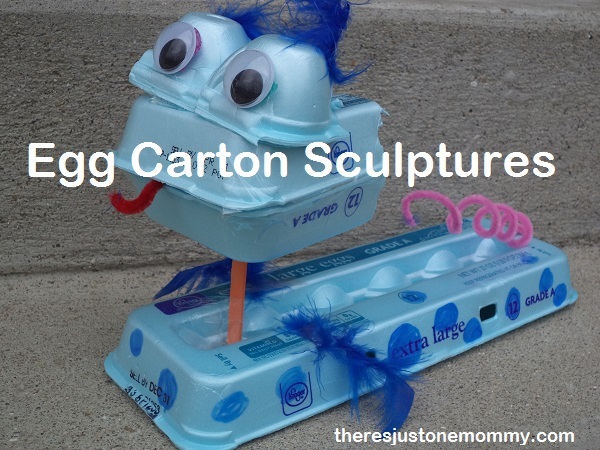 What types of crafts/activities have you done with those egg cartons? I’d love to hear about them! 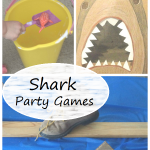 Leave a comment, or if you have a post, go ahead and add it to the linky! These are so cool! And it doesn’t matter if they break. 😉 They are already monsters. As usual, thanks for the idea. 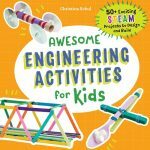 And the kids love to have a craft they can play with afterwards! so creative and beyond cute…I need to start finding better ways to reuse and recycle. I think they had the most fun with this one! 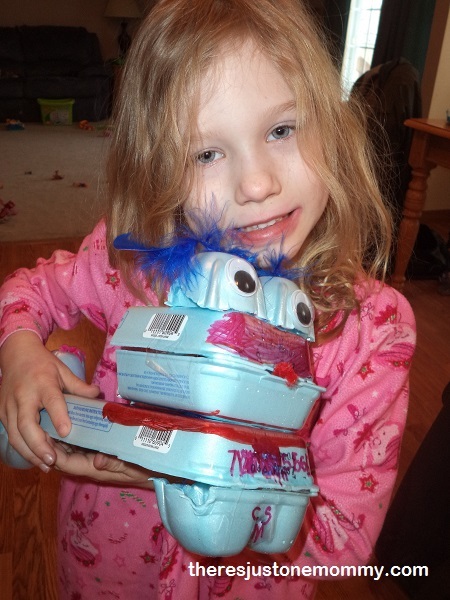 Egg cartons are so much fun to craft with. Love the way their masterpieces turned out! 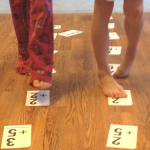 This was our first time to really get creative with them; so fun! 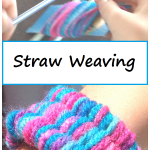 So much you can make with these! Adorable! Thank you for the easy and CHEAP craft idea! We have 9 kiddos and eat roughly 12-18 eggs a day, so egg cartons are super easy to come by. The kids are gonna love it. Happy Easter!